On April 4th, 2011, Google announced they are retiring the Position Preference Bidding option in May 2011. If you want to emulate the Position Preference option, you can set up two rules (per campaign, adgroup, or KW, depending on your needs) to control the bidding. The downside is that the bidding adjustments are done at most 1 time per day (but see below) and managing the rules in AdWords is a little clunky. Use CPA Bidding instead, if that is an option. 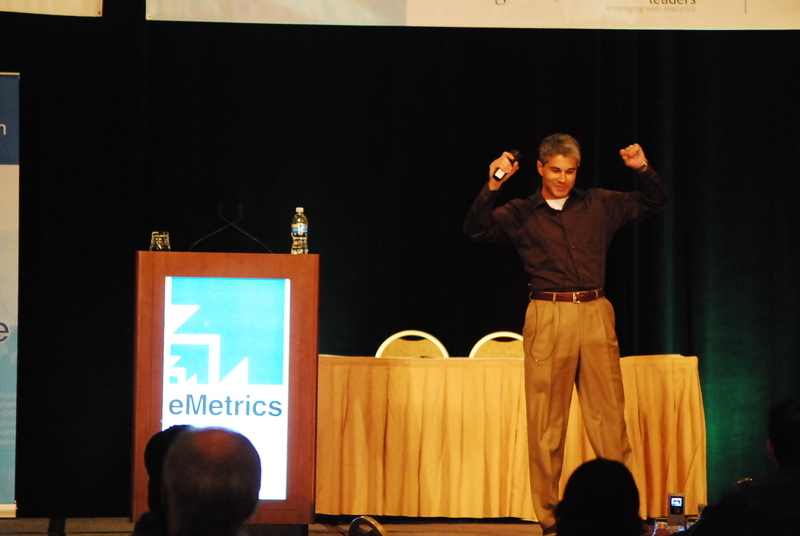 I don’t know if I’ve ever seen a keynote be so insightful and revealing about a major internet website as I did when I attended Joe Megibow’s Keynote at the eMetrics Marketing Optimization Summit in Washington DC. Joe is from Hotels.com and the audience was certainly treated to some great insight into listening to the voice of a customer as well as testing and being fanatical about “getting it right”. Hotels.com is quickly approaching its 1 millionth user review. Through reviews and feedback they have learned to both listen and learn to provide what their customer really want, not what what they think their customers need. Two years ago, Hotels.com was at a crossroads, they were known as the “low cost, cheap operator”, but they wanted to be more. At the beginning of 2008 they launched a re-branding which included re-branding their website. A few weeks ago, they relaunched their search engine which is faster and easier for customer to use. Hotels.com does a lot of analytics through Ominiture. They are fanatical, analytics drives almost everything on their site. However, over the last year they wanted to listen to their customers a little more, but they really had no context. Their good sales were masking the problems that were really happening on the site, so they needed to find another way. They combined “voice of the customer” with analytics in a usable way. They installed OpinionLab, they got a lot of feedback. What’s even more important, every OpinionLab entry is tied to TeaLeaf. They also installed over 700 phone numbers so that they can measure all of the channels that sales and feedback comes from. All of this transforms Hotels.com. Executives at Hotels.com get feedback everyday, and they use it, they read it. They click on what happens in different issues watch it in TeaLeaf and send their own feedback to the different teams within Hotels.com. Everybody has buy in to fix things on Hotels.com. They’ve acted on 200 site conversion issues over the last 6 months. The thing to remember is that mistakes are common, everyone has them. But not everyone realizes they have them and on top of that not everyone acts upon their mistakes to correct them. They had issues with logins. They thought they only had 2 ways to login, but through the customer feedback and watching the sessions being replayed in TeaLeaf, they were able to see that they actually had a third way to login that they never realized they had. This third way was what was creating a big problem. Because of this they added a “book without registering” option. Immediately half of all the customers chose this option! Hotels.com realized by installing the “book without registering” option, they were making it hard for their customers to book. Not only that, customers were not getting any kind of value out of registering with their site. There was a disconnect between how the marketers were thinking about customer conversion. They really needed to give customer a reason to register, a reason to care about their accounts. They introduced – book 10 nights, get 1 night free – “the loyalty program that doesn’t require too much loyalty”. The loyalty program exposed issues they didn’t realize that they had. A customer had an issue with logging in. Joe called her and talked to in detail about what happened. He actually turned her into a fan of Hotels.com. But from the conversation Joe also gained valuable insight, apparently something was happening with the loyalty program after booking many nights and getting a bunch of free nights. A certain field was getting wiped out. They looked into this and found thousands of profiles with the same issue and as time was going on, it was getting worse. They fixed the issue within a week. Customers do not repeatedly make this stuff up. They were getting random reports of issues of their Terms of Service. It was not allowing users to accept it no matter what they tried. It was about 1 person a day, but they were having trouble recreating the problem. When they started looking deeper, they found 40-50 people a day were having this problem, and it had to do with IE. It took a few months of investigating but they fixed it, and now that issues gone and 40-50 more people are converting and booking. Minor updates can create major issues! One of their updates created issues with the SSL and how cookies were handle. People browse in different ways, a lot of people use the back button. Apparently a lot more than they realized, combine that with the fact they use 4 different servers to service up Hotels.com, when customer were backing out of the SSL are to regular HTML pages, the update was dropping their cookies, and then they had a 1 in 4 chance of getting back to where their were before, if they didn’t hit the right server, their information was dropped. This was very frustrating to their customers, they listened, they used TeaLeaf and corrected it. Hotels.com is fanatical about getting this stuff right. Everyone inside Hotels.com is dedicated to it. Internally they have people just wanting to create mashups, tools and applications to help them make it easier to listen to the customer and fix things that aren’t working right. They built an in-house iPhone application for monitoring the Voice of the Customer since most of their staff was on the iPhone. Over the past months, they’ve seen a substantial increase in conversion because of their efforts. They’ve created a ton of good will and they are winning the cultural shift within Hotels.com internally of doing good by the customer. I first heard Katie Delahaye Paine speak at Blog Potomac this summer (thanks to Geoff Livingston for bringing her in to that event) and she just amazed me. Few speakers really enthrall me into what they are speaking about, but at that event Katie sure did. When I saw Katie listed as speaking here at eMetrics Marketing Optimization Summit in Washington DC, I circled that session in red as a must attend and report on. Katie’s got a wonderful, straight forward, and to the point way of telling an audience “how it is”. Not in a rude way, but in a way that everyone sitting in those seats understood, what’s worth your time to look at and what’s a waste of your time. She’s got an amazing way to relate to audiences and it was certainly reflected in the questions asked when it was time for Q&A. Katie started out her discussion talking about “reputation”. “The world ‘reputation’ is so 1999,” Katie began. The term that should be used today is ‘conversation’ and / or ‘having a conversation’. Trying to manage your reputation in a social media environment of today, is just plain silly (and futile), you just can’t. Both PR Coverage and Social Media (it’s better when they are working together) have a big affect on how companies are perceived and in the end a big on affect on what they are doing. They key though, is to measure both what’s work and what’s not working. Companies also need to understand that people are talking online, they are saying and doing things with brands, products & services, whether you are active in the conversation or not. State Farm measures it internal blog by the improvement in morale, they put tent cards on tables in cafeteria, re-branded their blog “ask your CEO” morale scores have gone through the roof – they feel “listened too”. Prior to this, it was just their CEO “talking to himself”, no one read the blog. So how do you know what caused the sale, conversion, registration, watching a video, etc.? 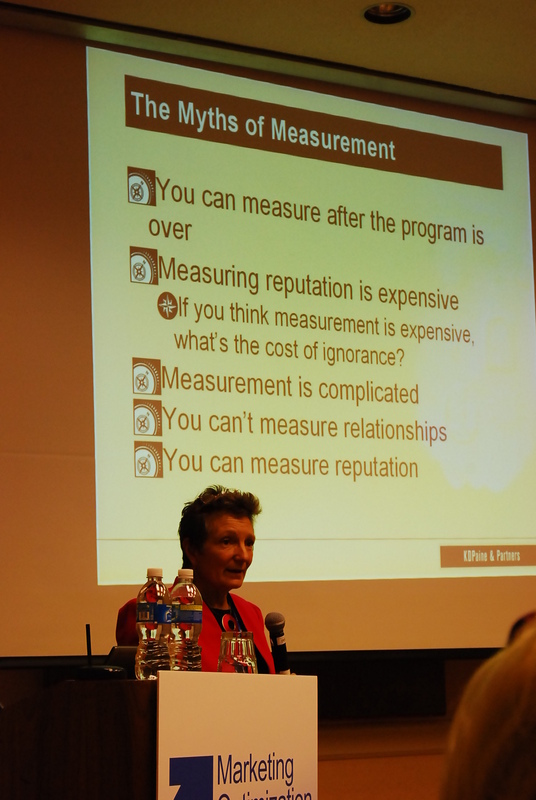 As it is you don’t, how can you measure your success? Banner ad & Popups are not the reason people buy stuff! -Measuring reputation in expensive – if you think measurement is expensive, what’s the cost of ignorance? Katie stressed to the audience, you can manage relationships, you can’t manage reputation, to try and do so, especially in social media is pretty much a dead end. Relationships = trust, commitment, satisfaction, control mutuality, exchange / control. Katie explained that most relationship start with exchange, such as money for a product, but the important relationship to create is the communal relationship because its about loyalty. Traditional PR drove and can still drive conversations on social media forums – its been going on since 1994, nothing new there. What is new, is the blogs and forums are now starting influence the conversations, for example Techcrunch, etc. 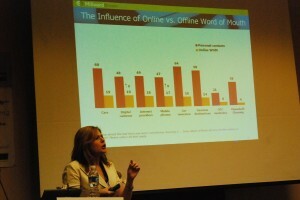 But what businesses are finding is that these places were not big influencers on the consumers. What influenced the most – was other consumers reviewing products and services. People who actually bought and used the products and placing their thoughts, as opposed to an “expert” espousing “how great/bad” something was. 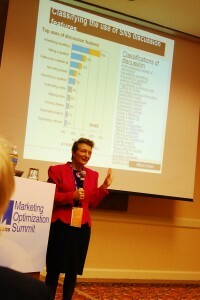 In a case study that Katie did for a client, their “traditional media” coverage was all bad press about a product, but yet this was one of their most successful products, when they filtered it down to find out why it was successful despite the bad press coverage, it was in the structured customer reviews of the product. The reviews of customers actually using the product were all positive. If you can change the conversation, you can improve your reputation. You can also improve your reputation by first listening and then responding. Negative coverage tends to come from companies, or company representative doing stupid things. This type of negative coverage can harm your reputation, because the web and social media allow things to travel at a fast rate. Positive issue discussion over time, share of exposure, favorable position can all have an impact on engagement. Katie presented the case of the ASPCA. Rather than just “letting it happen”, they got everyone involved – analytics, marketing, social, etc. They did every possible known way to communicate except advertising. They utilized their online community, blog, myspace friends, youtube channel views, facebooks fans / causes …. but “So what”. None of this is a difference unless its put into context. The big “Ah-Ha” was “what’s going on with online donations?” Her example of the ASPCA not really being “ahead” of the Michael Vick issue, and just letting legal handle it – they saw no increase in online donations. However, when the news broke about the ASPCA rehabbing the dogs Michael Vick had, they were ahead of the curve in promoting it through all those changes and their online donations grew. Katie left the audience with this final thought, web analytics is not the tool for everything, media content analysis could be good, or relationship surveys. 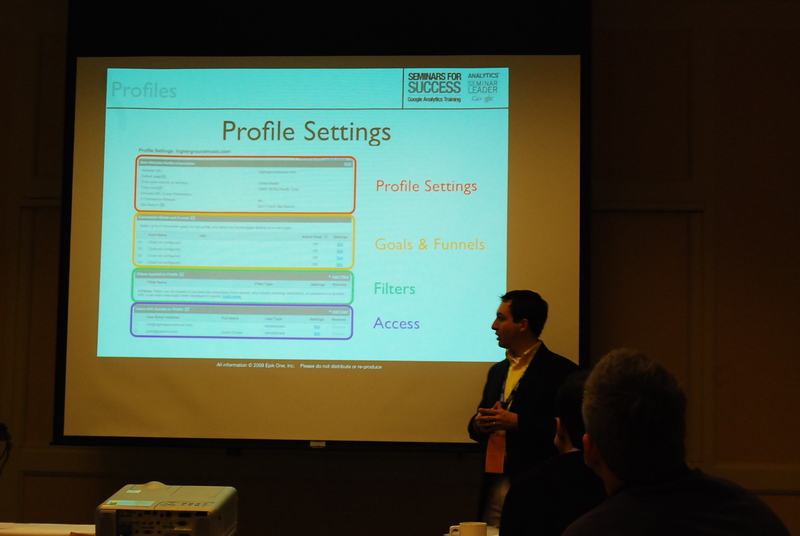 You need to match the analytical tool to the objective. Yesterday was the first day of the eMetrics Marketing Optimization in the Washington DC area. 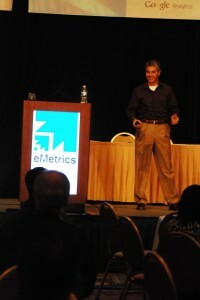 The conference runs until Thursday, and I’ll be posting some highlights from the eMetrics conference. 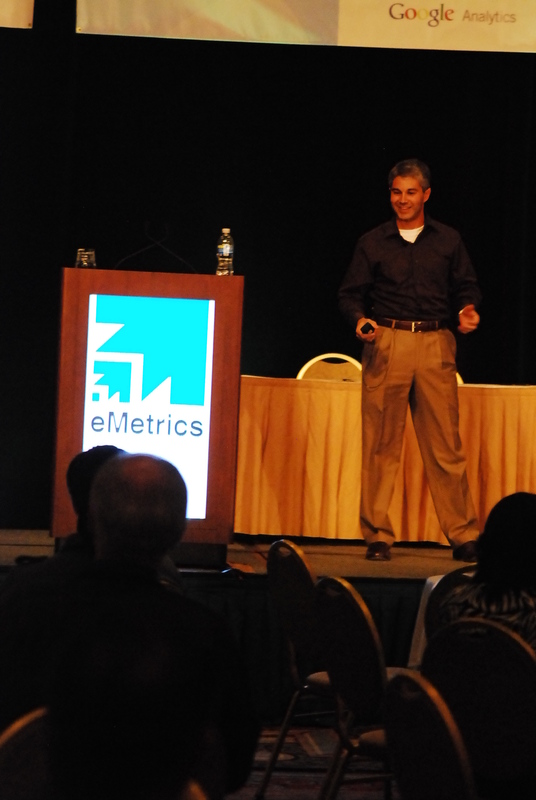 Google was one of 4 special sessions yesterday that eMetrics hosted on this first day. The other three sessions were eMetrics Industry Insights Day, Web Anayltics Association Base Camp sponsored by Omniture and Intelligent Research, Targeting & Measurement of Interactive Ads & Audience. In the all day session on Conversion was focused upon Google Analytics for about 95% of the time, and some focus on current and upcoming tools Google is working on. 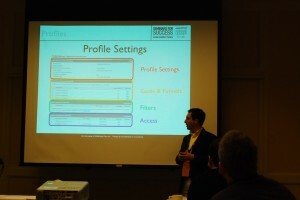 In the Conversion University presented by Google Analytics session, things started off pretty basic with a basic overview of where Google Analytics came from, as most online marketers know, Urchin was acquired by Google back in March of 2005. Urchin itself, was started back in 1997, so it had been around measuring website analytics for quite a while. After the acquisition by Google (shortly after Urchin launched its Urchin on Demand product), Google launched its analytics in November 2005. It’s amazing to me it has been nearly three years since that launch – wow does time fly. From the history we dove into a lot of different things with Google Analytics. From filters, to exclusion of parameters, to profiles and making them for special groups, subdomains, blogs, etc., there’s a lot of ways that small businesses can make Google Analtyics a powerful resource for gaining insights into what can improve their conversions. The most surprising thing to me, is that there is a lot more than I really ever thought. I’ve been using Google Analytics since the inception of Search Marketing Gurus, but I’ve never taken the time to dive deeper than what is at the surface. Now that I’ve been introduced to the more powerful features, you can bet I will be utilizing them. Sometimes reading a book can inspire you, but for me actually sitting in a class, and having the tools demonstrated live, works even better to motivate me. The class went on to work with hooking Analytics up to your Google Adwords account, how you can track down to the finest minutia of what is working and what isn’t working in your online marketing campaign with Google Adwords. It’s rather easy for small businesses to do, and easy if you are someone who is managing the PPC campaign yourself. 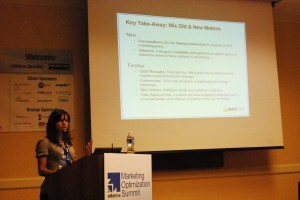 The end of the day was dedicated to Google’s Website Optimizer. Talk about a powerful tool, that FREE. Anyone can now take advantage of website optimizer, you no longer need to have a Google Adwords account to do so. So if you want to do A/B testing, multi-variant testing or split testing, Google’s Website Optimizer can handle them all. It’s really a neat tool, and you can use it to test colors, buttons, banners, text on the page and just about anything that you think would enhance or detracts from the visitor converting on your site. Remember conversions isn’t just buying something, it’s subscribing or commenting too! The last part of the full day session went over other Google tools such as Google’s Webmaster Tools, Inisight and the currently in beta AdPlanner. 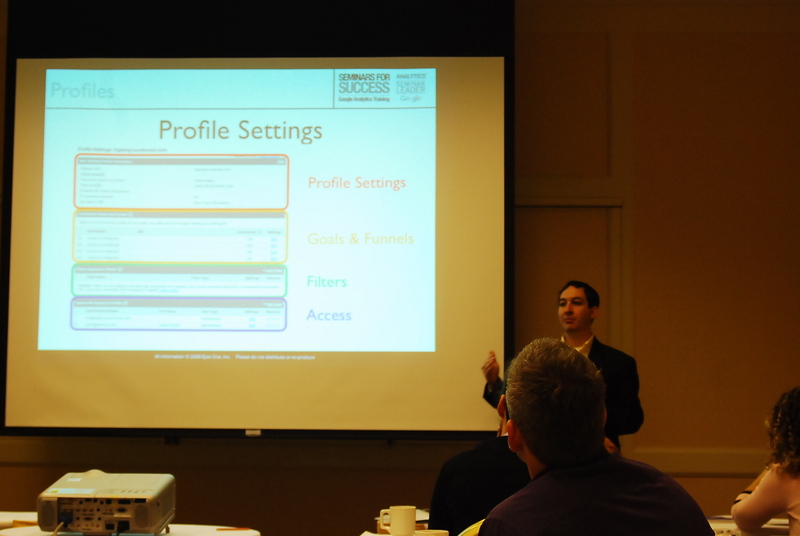 AdPlanner is some very powerful stuff, and the representatives in the room with the instructor, Justin Cutroni of EpikOne, told us that the data that AdPlanner uses does not come from Google Analytics or Google Accounts. Overall, I’m really glad I picked the the Google Conversion University. Sometimes as marketers we take for granted the “top level” of tools and don’t dig deeper, either because of time, or resources, or maybe that’s someone else’s responsibility. It’s great to get this kind of in-depth perspective, and it’s definitely a great reason to come to this conference. 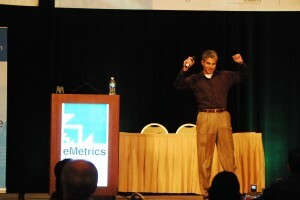 For some quick insights, hop over to my “A Morning at Google Analytics University” review on SMG.